A coastal place of relaxation, Ibusuki stands as a hot spring resort on the southern tip of the peninsula. You'll find plenty of places to visit near Ibusuki: Minamikyushu (Chiran Peace Museum, Chiran Kikkojo Park, & more). Next up on the itinerary: take in the awesome beauty at Mt. Kaimondake, head outdoors with JR Southernmost Nishioyama Station, examine the collection at Satsuma Denshokan, and indulge in Japan's hot spring tradition at some of the top local onsens. For where to stay, maps, ratings, and more tourist information, read our Ibusuki sightseeing planner. 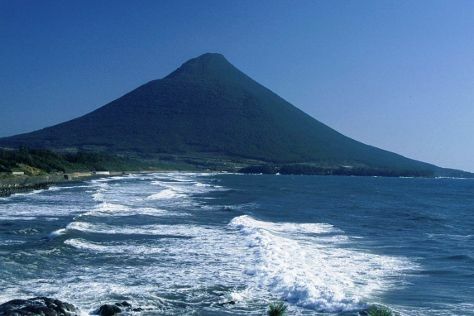 If you are flying in from Hong Kong, the closest major airport is Kagoshima Airport. In March in Ibusuki, expect temperatures between 16°C during the day and 12°C at night. Finish up your sightseeing early on the 2nd (Sun) so you can travel back home.